Samsung has been developing foldable display technologies for many years, and it seems that a foldable phone/tablet is always just around the corner. At a recent press event, Samsung Electronics' Mobile Business group President Koh Dong-Jin updated on the company's foldable smartphone plans. 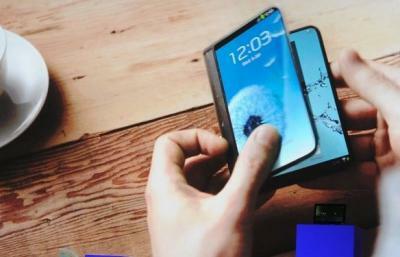 According to Mr. Dong-Jin, Samsung Electronics hopes to release a phone with a bendable display in 2018. However Samsung still faces some technical challenges to overcome so this is still not a hard set target. Samsung announced the Youm bandable display brand back in 2013 and everyone hoped that bendable devices will arrive in 2014-2015, but obviously Samsung has hit some obstacles it did not foresee back then. We can only hope that Samsung Display is indeed progressing on that front and that the 2018 goal is realistic this time.